To view recently completed projects click on "Portfolio" or to obtain feedback from recent clients please click on "Testimonials". Gardens should be fun to create and last a lifetime. We want you to enjoy the process of creating a new garden and we pride ourselves on our friendliy, professional garden design and construction service whether it's a complete design and build or a new planting scheme. A fully integrated service means that you only ever need to go to one place for all your garden needs. With our expert care and attention we can tailor our design and build service to suit individual needs and budgets. Having your garden designed by a fully qualified garden designer will provide a beautiful and personalised external space, may save you money on the garden in the long term and add to the value of your property. 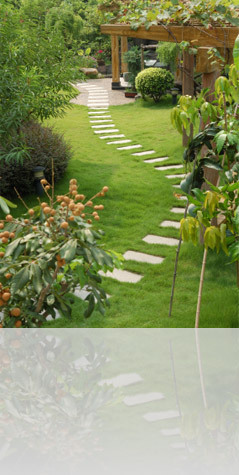 Working together to reflect your needs, tastes and the way you live your life, we can create a garden as unique as you. Whatever the size, shape and location of your garden, good design is fundemental to how the garden is used, viewed and more importantly enjoyed. Kings offer a full garden design and build service which includes plant design and project management to private and commercial clients. For a free consultation please "Contact Us"